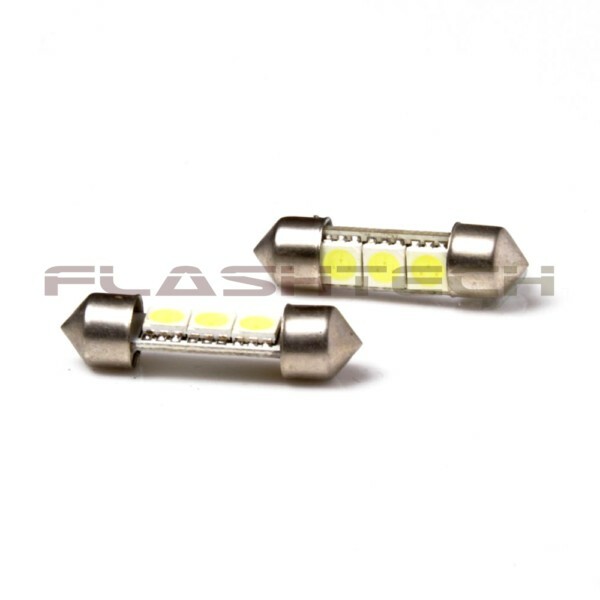 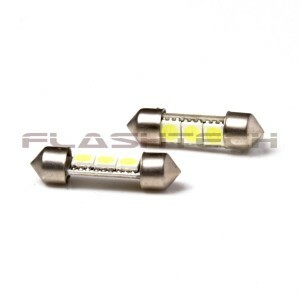 Flashtech 3-SMD LED 1.15" 29mm Festoon LED bulbs, perfect for car interior lights, such as car sun visors and vanity mirrors. 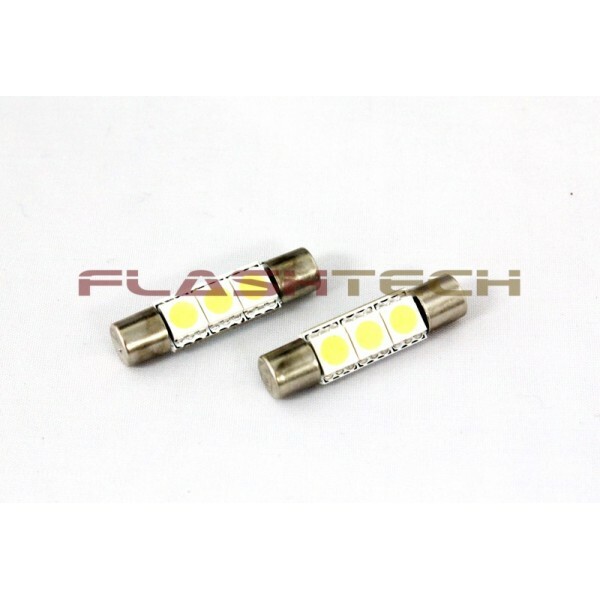 This 1.15" 29mm festoon LED bulb will replace the stock 1.15", 29mm, F30-WHP, 6614F, 6614, Fuse Shape bulb. 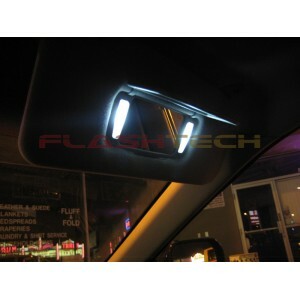 Perfect for car interior lights, such as car sun visors and vanity mirrors. 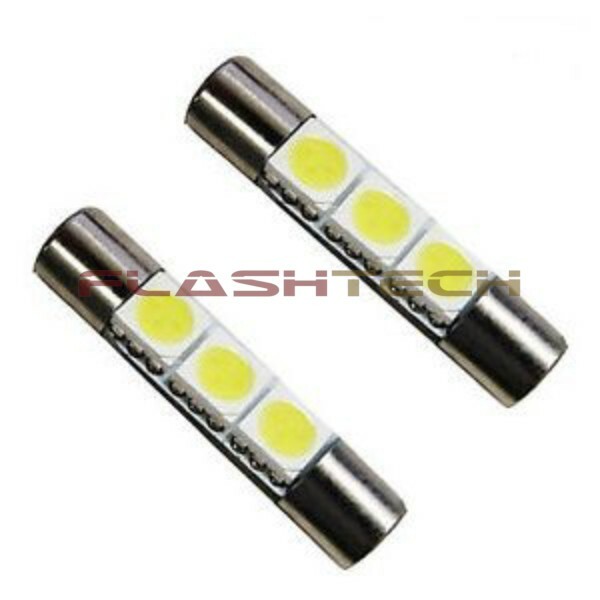 One pair (2) 3-SMD 5050-type 1.15"29mm fuse shape LED bulbs.